Halloween is tomorrow, and we are flashing back to a Halloween-themed episode from one of my favorite shows: The Office. While the episode is aptly named “Halloween” (because it takes place on October 31 and the day of the office Halloween party), it could have easily been entitled “Grim Reaper” because this episode follows Michael Scott (Steve Carell) as he struggles to identify whom to lay off pursuant to corporate’s downsizing initiative. Michael considers firing Pam for poor performance (i.e., letting incoming phone calls go to voicemail), but Pam diverts Michael away from this idea by complimenting his Halloween costume. Michael then goes to the Accounting Department (staffed by characters Kevin, Angela, and Oscar) and asks them to find $50,000 in salary and benefits to cut from the budget. Although the accounting team determines that it has three people doing the work of two, they mutually agree not to tell Michael in order to avoid receiving a pink slip themselves. Dwight (Rainn Wilson), who is vying for the assistant regional manager title, attempts to help Michael by firing Stanley, the only African-American employee in the office. When Dwight reports back to Michael that Stanley refused to take him seriously and that Michael will have to handle it, Michael denies ever wanting to fire Stanley in the first place. Upon hearing he’s being fired, Creed convinces Michael to terminate a coworker, Devon, whom Creed describes as a worse worker. Ultimately, Michael fires Devon, who doesn’t take the news well. As Devon presses Michael to undo his decision, Michael unravels and makes statements like “I just hope you and I can be friends.” Michael also offers Devon a coupon to Chili’s, in addition to “severance and everything else,” as a consolation. Devon flatly rejects Michael’s restaurant gift certificate and invites everyone in the office (except Michael, Creed, Dwight, and Angela), including “the temp,” to join him at a local bar. When the group leaves the office, Devon smashes a pumpkin over Michael’s car in revenge. Consider alternatives to laying off employees. In this episode, the audience learns that the office has at least one temporary employee. To avoid terminating Devon (a regular, full-time employee), Michael could have released this temporary staff member as well as any contract employees. While releasing contingent workers undoubtedly affects their lives, they are more likely to expect to be let go depending on the changing needs of the business. Additionally, from hiring freezes and reducing salary or hours to offering voluntary early retirement, it is always a best practice to consider cost-cutting measures first to avoid laying off regular employees. Don’t wait until the last minute. Unlike Michael, you shouldn’t wait until the last minute to make a layoff decision. If time permits, assessment and planning should commence 90 to 120 days ahead of the planned layoff—particularly with group terminations—to ensure compliance with state and federal laws and allow time for analysis, planning, and document preparation. Don’t let the cat out of the bag before you’re ready. In “Halloween,” Michael has several one-off conversations with individual staff members about the fact that he must lay off someone. Far from having consistent, well-vetted talking points, Michael sends mixed messages to various employees, which reveal, among other things, that at the eleventh hour, he has not identified any termination criteria. In real life, if layoffs are expected, it may be beneficial to advise the workforce that cuts are coming, especially if they are going to occur around the holidays. That said, leaders should avoid offhand, unscripted comments relating to the layoff, as such conversations can lead to misleading job-cut gossip and, on the other end of the spectrum, create unreasonable expectations that one may be “safe” from discharge. A best practice is for all comments about the layoff to be reviewed by the legal department (or your favorite FordHarrison lawyer) and human resources. Consider whether the affected employee is a member of a protected classification and/or engaged in protected activity. By the end of the “Halloween” episode, Michael—on his own or through his proxy, Dwight—unsuccessfully attempts to terminate the only African-American employee and also the oldest employee in the office. These actions serve as a reminder that employers should carefully consider whether its layoff will result in an adverse or disparate impact to a protected class, including race, age, gender, religion, national origin, or disabled employees. Similarly, employers should consider whether the employee identified for termination has recently taken a leave of absence or engaged in other protected activity (e.g., filed a workers’ compensation claim or lodged a complaint of harassment or discrimination). Such employees may view their layoff as retaliation. Prepare termination talking points and stick to them. From describing Creed as “very ambitious” to saying he’s a “great guy,” Michael makes a series of statements that could undercut terminating Creed, especially in the case of a discharge for poor performance. Employers should keep in mind that contemporaneous positive statements about an employee subject to discharge may, depending on the circumstances, render the termination reason questionable at best. Be compassionate but don’t expect to be friends in the end. 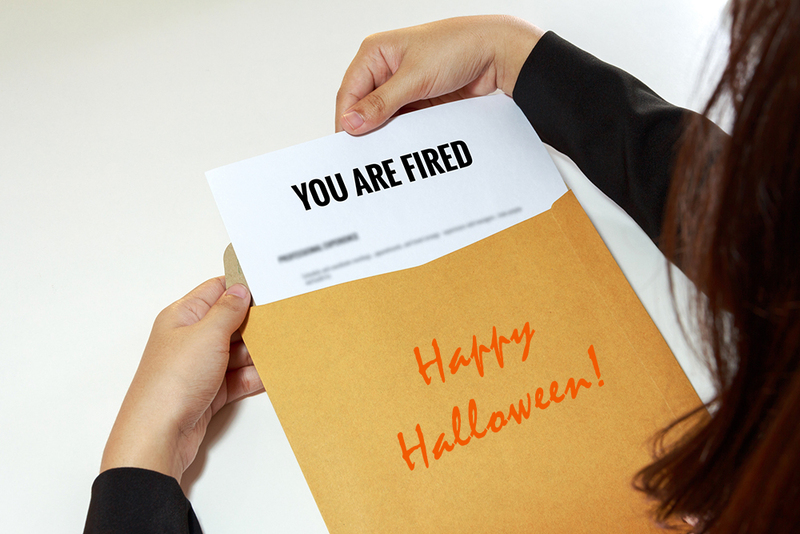 Terminations are hard on everyone—terminated employees, HR pros, and management. Therefore, leaders should consider the effects on employees’ lives, especially given that many people live paycheck-to-paycheck. While it’s unlikely that you’ll continue to be friends, as Michael begs of Devon, offering the terminated employee severance and outplacement assistance will go a long way toward making the transition more bearable. Above all, treat the terminated employee with dignity and respect because how you treat them in this last interaction may affect whether they decide to pursue legal action or simply move on. Implicit in treating someone with dignity is avoiding surprises. If you terminate someone for poor performance, they should not learn of the deficiencies for the first time at the discharge. In a nutshell, be considerate (as much as possible) of the employee’s feelings. That includes avoiding terminations on holidays or during other office celebrations like Dunder-Mifflin’s Halloween party. Be prepared to handle and respond to an employee’s emotional reaction to a layoff. At the end of the “Halloween” episode of The Office, Michael is seen picking up pieces of pumpkin splattered across his car. While Devon’s smashing pumpkin may be relatively harmless, it’s a good reminder that laid-off employees are more likely to respond emotionally when terminated—from yelling and screaming to destroying property and engaging in acts of violence. Accordingly, you should take precautionary measures to keep everyone safe and part on good terms to the extent possible. This includes having management and security available if assistance is needed and developing an information packet providing resources like employee assistance and outplacement services for the individuals being laid off. In sum, while layoffs are never fun for anyone, these best practices will help avoid frightening situations. Happy Halloween! Julie Adams concentrates her legal practice on the representation of management in labor and employment law matters. She represents employers in the retail, hospitality, technology, manufacturing and healthcare industries, among others. This representation has included providing advice and counsel on discrimination and harassment suits on the basis of age, race, national origin, gender, and disability, leave issues, non-competition and non-solicitation agreements, and retaliation claims. As such, she is well-versed in matters arising under Title VII, the Family and Medical Leave Act, the Americans with Disabilities Amendments Act, and various North Carolina state employment laws. Julie has represented clients in state and federal courts, and has handled administrative charges before state and federal administrative agencies including the Equal Employment Opportunity Commission, the U.S. Department of Labor, the North Carolina Department of Labor, the North Carolina Industrial Commission, and the North Carolina Employment Security Commission. 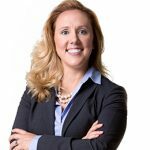 She is also adept at counseling employers to reduce the risk of potential litigation and provides advice on the business and legal ramifications of day-to-day employment decisions. Find her on LinkedIn here.